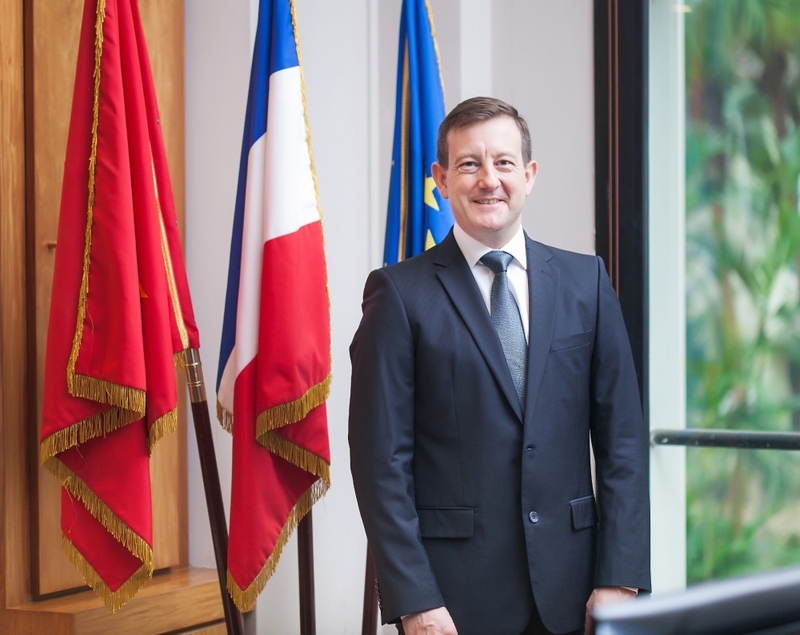 On these meaningful special occasions, French Ambassador to Vietnam Bertrand Lortholary spoke to Vietnam Economic News’ My Phung more about prosperity and bright future of growing multifaceted cooperation between the two countries. What are your assessments of bilateral cooperation achievements after 45 years of bilateral diplomatic relation establishment and five years of strategic partnership? Our two countries have achieved an exceptional level of political relations, based on a unique and shared history, as illustrated by numerous historical landmarks such as President Mitterrand’s visit to Vietnam in 1993 or the Francophonie Summit in Hanoi in 1997 and President Chirac’s visit. Among all these landmarks, the most recent ones are President Hollande’s state visit to Vietnam in 2016 and, a few months ago, the official visit of the General Secretary of the Communist Party of Vietnam Nguyen Phu Trong, at the invitation of the French President Emmanuel Macron. Could you tell us about France’s official development assistance (ODA) for Vietnam in recent years? Since its opening, Vietnam remains a priority country for French bilateral aid worldwide, France has been particularly committed to supporting Vietnam’s modernization financing up to €2 billion of ODA. Overall it has already benefitted more than 30 million Vietnamese people nationwide. France’s ODA has intervened in various sectors such as infrastructure, climate change, energy, agriculture, smart-cities, etc. For instance, - In 2016, the 6th and 7th tranches, each amounting to €50 million, have been approved in the framework of the Supporting Program in Response to Climate Change, initiated by AFD and the Japanese Cooperation in 2009. - In 2017 a €100 million loan has been granted by AFD to the Vietnam Electricity group in order to extend the capacity of existing hydropower plants and build one of the first photovoltaic power plants. 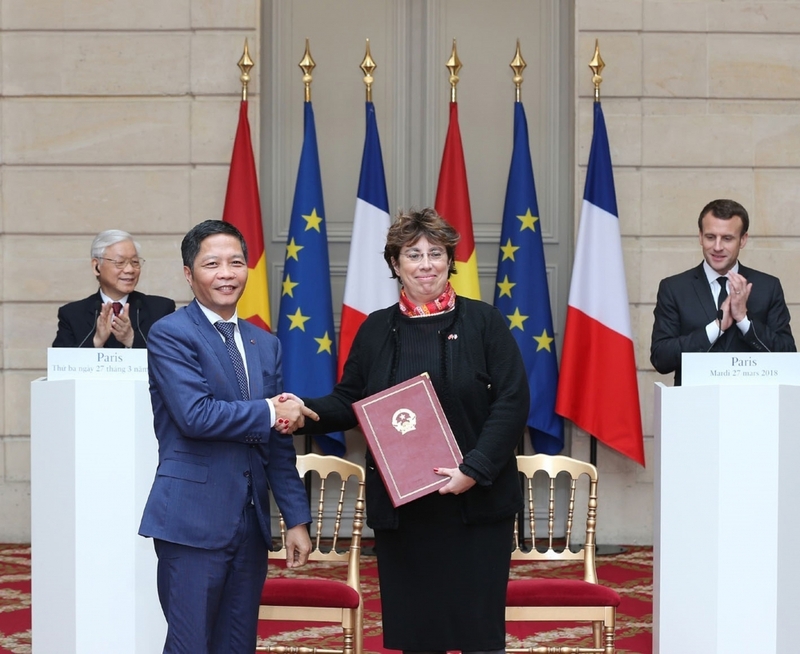 France also supports Vietnam in the implementation of the Paris Agreement ratified by the Vietnamese Government in 2016, notably by promoting a low-carbon and resilient development trajectory. AFD stands along with Vietnamese authorities to meet their international commitments and to help them focus major challenges by tackling the occurring climate change and natural disasters. Bilateral economic cooperation is growing. What are the keys to further promoting trade and investment relations between the two countries? First of all, it is important to remind the importance of our exchanges which are constantly increasing. Bilateral trade has quadrupled in value over the past 10 years to reach €6.1 billion in 2017. We can observe the same positive trends for the first 2018 quarter. One of the keys to boosting our trade and investment relations relies in the existing framework (regulations and taxation). In this regard, the upcoming EU-Vietnam Free Trade Agreement (EUVFTA) will mark a real milestone, by simplifying market access for numerous products. Currently, market access remains an issue notably for agricultural products. Communication and promotion also constitute a key, and this is part of the French Embassy’s mission in Vietnam to enhance the level of knowledge concerning the Vietnamese market and promote its opportunities to French companies and investors. 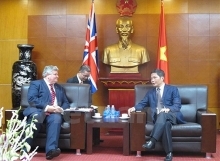 Around 300 French businesses have already made the choice of the Vietnamese destination, and there is no doubt that many more are to come as the Vietnamese economy is growing very fast with the increasing importance of new sectors and business opportunities (in insurance, e-commerce, fintech or smart cities, for example). In 2017, according to the General Statistics Office of Vietnam (GSO), French businesses have invested in 44 new projects in Vietnam and increased their participation in 13 existing projects. French direct investment in Vietnam has so far totaled US$2.78 billion and kept increasing with an additional US$106 million in 2017. The most emblematic is probably the Metro Line 3 project in Hanoi half financed by France (US$600 million) and that will allow to improve the travel conditions of Hanoi inhabitants and contribute to pollution reduction. Locality-to-locality cooperation between France and Vietnam has been expanded. Could you inform more about this dynamic collaborative aspect? Let me illustrate the dynamism of locality to locality cooperation between France and Vietnam with some emblematic figures: - 24 French local authorities are actively cooperating with 33 Vietnamese local authorities; - 52 decentralized ongoing cooperation projects in a wide array of sectors such as: universities, cultural areas, economic exchanges, sustainable regional development and valuing heritage, etc. - In 2016, ODA from French local authorities to Vietnam amounted to €1,728,849 in 2016. - The 10th Assises of decentralized cooperation took place in Can Tho in 2016 and gathered 1,200 participants, including nearly 240 French partners (territorial executives, representatives from companies, universities, hospitals and associations) and over 1,000 Vietnamese delegates. - The 11th French-Vietnamese Assises of decentralized cooperation is to be hosted in 2019 in Toulouse. The spectrums of intervention in these projects are widely covered. For instance, ile-de-France region and Hanoi city work in pairs to improve the environment by reducing waste and pollution. The cooperation between Toulouse and Hanoi has evolved in several areas such as sustainable development, education and health, the old neighborhoods in Hanoi have benefited from the valuing heritage. It is also the case between Val-de-Marne and Yen Bai Province where projects aiming at reducing poverty through farming are implemented. Nouvelle Aquitaine region has an ongoing projects with Lao Cai and Thua Thien Hue provinces on valuing heritage and ecotourism development. Cultural exchanges and people-to-people link are good connection channels to help people of the two countries understand more about each other. Could you tell us about good results of prominent activities in recent years and your priority for development of friendship between France and Vietnam during your tenure? We want to promote a renewed image of France in Vietnam, focusing on youth and creativity. Establishing bridges between the youths of France and Vietnam is a first-order priority. In fact, France is currently the first European destination for Vietnamese students, who actually represent the second Asian community in France with more than 6,000 students. Moreover, there are currently a hundred French certified curriculums offered in Vietnam which welcome more than 3,000 Vietnamese students every year. Conversely, Vietnam is presently the fourth Asian destination for French students. Tourism is also very dynamic, as Vietnam remains a favored destination among French tourists and more and more Vietnamese tourists are attracted to France and its riches. As a member of La Francophonie, Vietnam also values French language education. French-language courses are in high demand in our Institut Français in Hanoi, Da Nang, Hue, and Ho Chi Minh City where we will open a new cultural center, currently under construction. We are also opening “Espace France” in several cities to provide students with a direct access to French culture, French language training and orientation services to the French higher education system. Regarding our flagship project in Ho Chi Minh City, “la Maison de France”, its construction will begin this year, and will showcase French culture, institutions and companies. The Institut Français and the Vietnamese-French Chamber of Commerce are working hand in hand on this project.